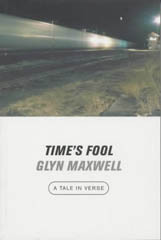 Your latest book of poetry, The Sugar Mile, is a narrative based over a couple of days, just before 11 September 2001. It’s three days. The frame is three different days in which I show up at this pub on Broadway and I’m told this story by this old guy, and that’s the frame. It’s the weekend before 9/11, so it’s a very beautiful weekend, it’s great weather. And no one knows what’s going on. But the old guy’s story takes place in September 1940. The dates oddly coincide – it was ten days into September in both cases. Was there any actual historical event during the London Blitz that you picked on? I was thinking about the bombing of the Tate & Lyle factory which you mention – or was that fictional? 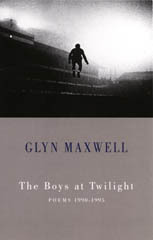 … reports differ, but hundreds of people were sheltering there, and they were going to be evacuated by London buses to the countryside, and the London buses got lost, they got their Camden Town mixed up with their Canning Town and got lost and they never came, and they came just too late. These people were there two nights – two days and two nights – sheltering in the school, and in the small hours of the second day, which is September the tenth, it took a direct hit, and they still argue in the East End about how many died, but the official figure was about seventy five, and the unofficial figure is something like five hundred. The school was completely destroyed – it’s just a shell you see in pictures of it – there couldn’t have been many survivors, and it was concreted over and limed over so no one knows how many really died, and we’ll never know. But it was obviously a lot. 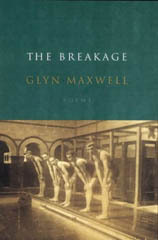 The poems jump between different sorts of narrative voices and go backwards and forwards in time between events in New York in September 2001 and in London during the Blitz at the equivalent moment. … at the time London gets bombed it’s all about, ‘How dare Hitler do that? How dare he bomb civilians in daylight? What are we going to do in response?’ This was not cricket, to do this. And by the time you get to Dresden it’s five years later and it’s absolutely no holds barred. I’m interested in the notion of the way movements, sudden cataclysms of history, intersect with personal lives, and that seems to be what you’re dealing with in this book. … I think that’s why I’m using quite strong traditional forms on the whole, I’m giving them more different traditional forms, but those forms are memorable forms, I want their voices to be memorable, as if they were photographs, framed photographs. What do you mean by traditional forms? I was always very struck by a picture I saw in an exhibition about Anne Frank, which showed the living room of the Frank family before they had to go into hiding, and everything about it was redolent of security, they had the aspidistra, the beautiful piano, the curtains were heavy-hangings, there was lovely wallpaper, everything felt sort of secure, it just spoke security. It burned itself into my mind that all of that was dismantled with the click of a finger. That’s right. I did a lot of reading for this, a lot of research. The best research I did was to spend a few hours in the Imperial War Museum and just wander around the Forties House – you know that BBC thing? That house is still standing inside the Imperial War Museum, and it’s full of all the little details of children growing up in the late 30s and early 40s, and what they would’ve been reading, and I fed a lot of that into it, it’s so poignant, and so evocative, I felt I really wanted to build these people up from those details. You fed in all sorts of details, phrases that were almost clichés of the time, rather like Eliot’s Prufrock technique, with snatches of voices and so forth. That’s one of the few things that I suppose is some kind of ancestor of this book. It’s those little bits in Eliot where voices come through. In ‘The Wasteland’ you have those pub regulars, although I think Eliot was a little condescending about them. Another aspect of the poems I found quite interesting is that measure of distance that – let’s say ‘the writer’ – in his personal life might place between himself and the rest of the world. Do you ever escape from being the writer, or are you always beachcombing orally? I suppose one does feel a bit of an outsider. That’s the central contradiction about being a poet at all – on the one point, you’re supposed to be speaking representatively in some way, and saying things that are universal; on the other hand, because you’ve chosen to be that, you are doing something very unusual and you’ve carved out some sort of lonely space that most people don’t inhabit. I suppose The Sugar Mile is a self-portrait, in that it’s a self-portrait of somebody who doesn’t know what his voice is, and would rather speak in other people’s voices. I’d rather make characters and make stories out of characters. So in a way, it’s an answer to a kind of writer’s block. That’s why I begin the book and I’m interrupted and I end the book, and that poem’s abandoned. I don’t want to hear my voice – I don’t know what my voice is – I don’t know why it would have the presumption to say anything. 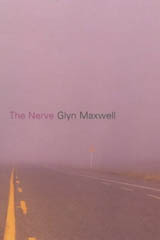 But if I can make a story out of other voices, I feel that’s my way out of a hole. It’s almost like a collage technique. It’s possibly also a sort of absence of commitment. I don’t mean that rudely, but – is there a commitment in this book? No, I think the commitment in this book is sort of formal. I have a problem with most contemporary poetry because I have a problem with its presumption. Do you mean its presumption that things can be done without complying to the forms? In most cases, why should we listen to this voice saying things this way? I don’t want to listen to a voice – I don’t believe in a voice – unless I feel something like a human profile to it, I feel the breath in it, I feel the bloodstream in it, I feel the footsteps in it, I feel an awareness of what it’s like to actually live in the body, and with most poetry I don’t get that. Most poetry seems to me too cerebral, and isn’t committed to the physical in that way. I think a lot of that’s connected in my mind with how people have thrown out form. In America certainly there’s a total rejection of form, and I’m not sure to what purpose that’s happened. Tell me, what do you think are the particular illuminations or freedoms that these forms allow? Is there any particular form that makes you feel, ‘Oh, hey, I’ve done this this way because I’m using this form and it’s actually drawn me into a particular expression of ideas’? … well, the plays I write aren’t committed, in that if I was committed to certain points of view and wanted to advance them at the expense of other points of view, I think I’d probably be in a different profession. I feel ambivalent and contradictory about most things – not all things, but most things. Even quite extreme views, I can really see the other point of view, and as a playwright I should be able to articulate all the points of view; one should be able to articulate points of view that are quite extremely far from one’s own. So, in a way I’m starting to feel that maybe biologically I’m a playwright, and I’ve been thinking I’m a poet all this time – and having a lot of fun along the way. To go back to your poems, did you really sit talking to strangers in a bar just before the 9/11 thing? 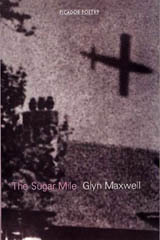 The Sugar Mile by Glyn Maxwell is published by Picador (ISBN 0330438247 PBK £8.99).